3-Night: Depart SA 20 Aug and return on 24 Aug 2015 (arriving in SA 25 Aug). 5-Night: Depart SA 19 Aug and return on 24 Sep 2015 (arriving in SA 25 Sep). 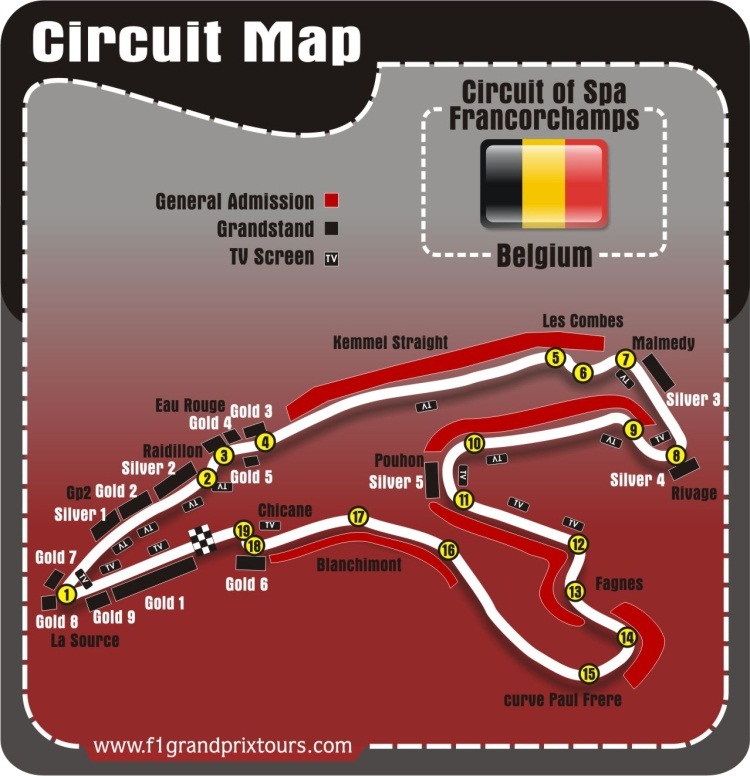 F1 Grand Prix Tours can now offer you fantastic no-deposit, travel financing on our Belgian Formula 1 Grand Prix travel and holiday packages, which may also include the price of race or hospitality tickets. Easy online application with quick (subject to credit) approval – please enquire.